Thank you for visiting this site to see examples of my professional and creative work. Programming and database work that includes all development disciplines of the full stack spectrum is what I do. 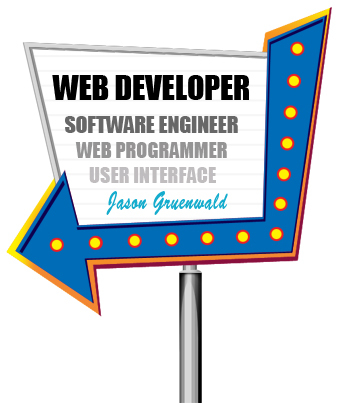 My name is Jason Gruenwald, and I'm excited to see what I can accomplish and contribute to my surrounding community and the world (wide web)!